The E Type has become one of those cars that is popular by default. It regularly tops popularity lists. 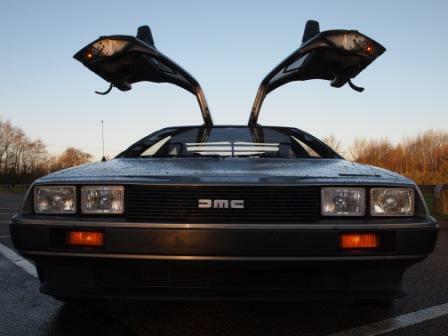 That ubiquity can make it easy to forget just why this car is so popular. So popular, in fact, that Great Escape Cars has three on its fleet - more than any other model. But there are also people who just don't get the E Type. For them, and as a quick reminder, here are the five reasons we think it's ace. 1. It looks, well, like this. 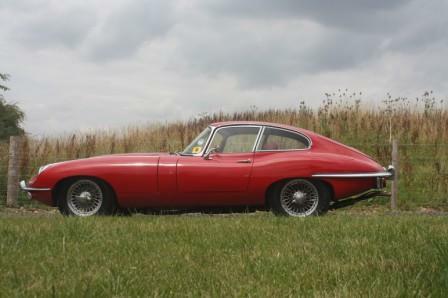 Is there another car shape that looks nearly as good as the E Type? The shape was designed to be aerodynamic rather than beautiful, which is perhaps why it achieves the latter without seeming to try too hard. From the long bonnet to the squat tail, the E Type just looks like a car you want to drive. 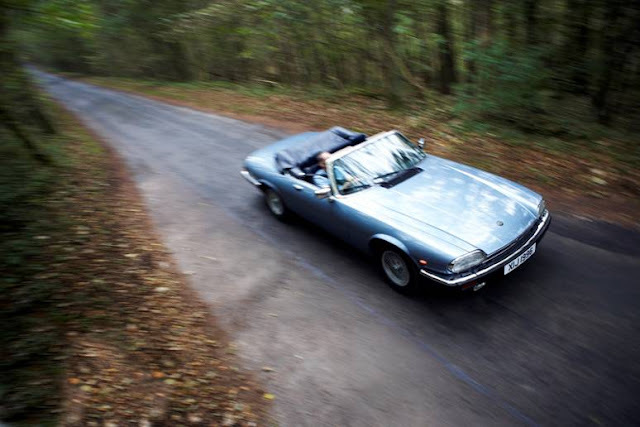 Jaguar may have fiddled with the details during its extended lifespan, but until it bowed out in 1975 it remained a beautiful car. Quite an achievement. There are few views finer from a driver - or passenger - seat than the one down the long, long bonnet of a Jaguar E Type. The vents lean back at you as the central cowel slips off to the horizon. It's vast, sculptural and you could argue, totally unnecessary. Except it's all there in the name of aerodynamics. And somehow, because it's meant to be functional, that really does make it even better. The XK straight six may have been old and venerable by the time it was dropped into the E Type, but it was still a brilliant piece of engineering capable of over 250 bhp and sub 7-second acceleration. Any 6 cylinder E Type pulls like a locomotion - huge torque in any gear and instant performance. The XK engine survived so long because it was so good. 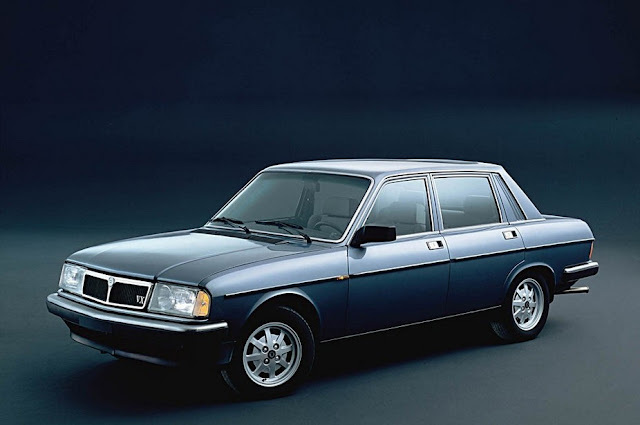 The V12 that followed was - and is - a gamechanger, the only mass-produced V12 engine. And it's a pearl - super-smooth with enough torque to pull from 20 to 120 in fourth gear. Before we had airbags and infotainment systems, we had Smiths dials and rocker switches. 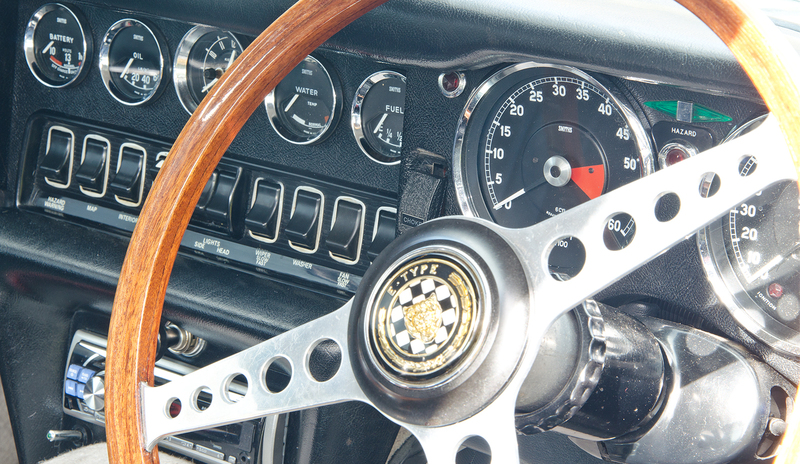 The E Type dashboard is all about function over form, and yet it manages to look superb. It's simple, slim and practical, yet in its austerity it achieves something distinctive and lovely. Everything you need is laid out in an order that reflects what you need - big speedo and rev counter, minor dials loosed off to the side, but clear to see. Early cars had toggle switches and push starters, which just edge the rocker switches of the later car shown here. Once again, aerodynamics dictated the use of a hatchback for the coupe and 2+2 E Type. But from necessity came genius. 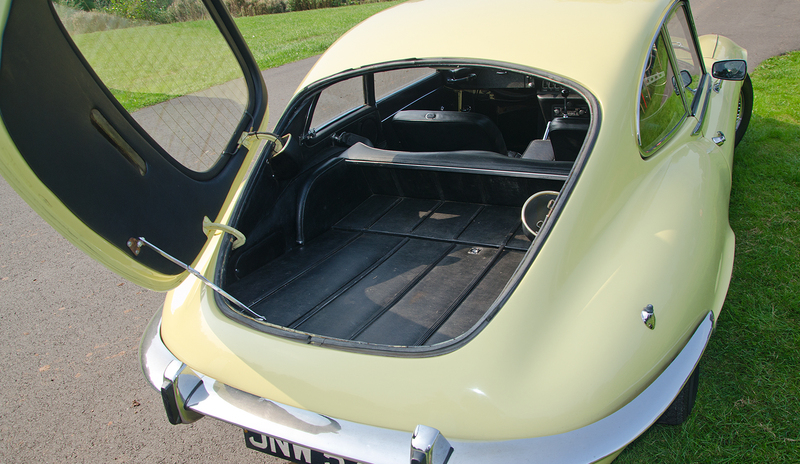 Unlike the Porsche 911 or Ferrari Daytona, the E Type had a proper boot that could accept pretty much anything - from hounds to hat stands. E Type man may have only carried a toothbrush, but at least he had space for an extremely long one. Great Escape Cars has the widest range of E Types to drive in the UK and a huge choice of E Type Experiences, starting at just £99. To find out more call 01527 893733 or click on the link below.